With the future of Scotland in the balance because of Brexit, PM Joseph Muscat held a dialogue with university students in Scotland, saying that he believes that there will be a trade agreement between the EU and the UK based on compromises on how it should work. . Dr Muscat explained that he is in favour of a progressive economic policy and against austerity so that populist politics will not gain ground. 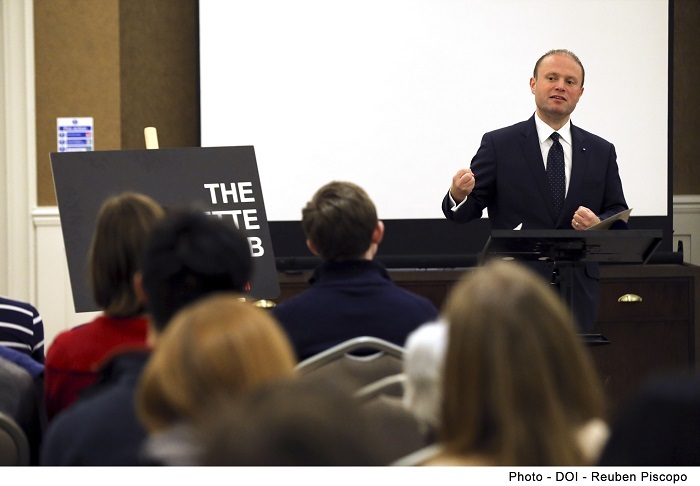 Speaking with students from St. Andrew’s University in Scotland, PM Joseph Muscat discussed the future of the EU during a meeting called “A Conversation with the Prime Minister of Malta”. 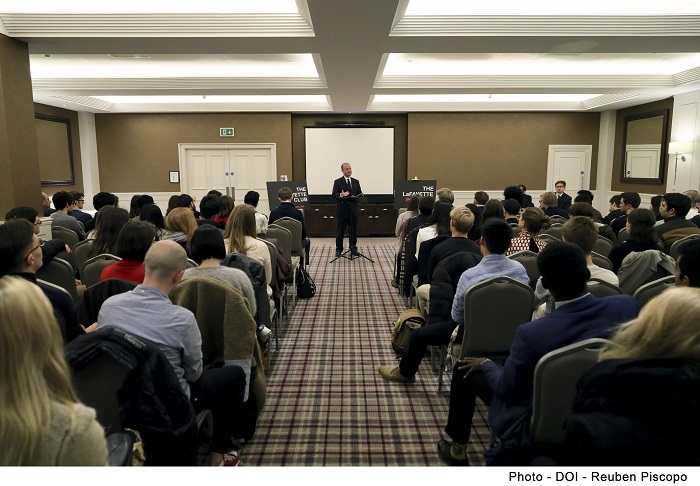 The meeting was organized by the LaFAYETTE Club, which brings together young students and leaders from around the world with the aim of better understanding world current events. The PM said that progressiv economic policies can make a real difference in people’s lives. He said that economic growth and social wellbeing can be two faces of the same coin. He said that one can understand the concerns of some people about the impact of globalization and free commerce, however developments such as the Internet have opened opportunities for Malta to become a centre for services such as iGaming, films, financial services and digital technology. He said, “The first thing I want to emphasise is that as a small economy we have chosen to embrace open trade and open borders.” Dr Muscat noted that one out of every six workers in Malta is now foreign. He said that at the beginning of his administration he had immediately discarded the idea of austerity. Dr Muscat said that a society which wants a good future cannot ignore young people and therefore the Government had introduced work guarantees, education and training for young people. The PM said that like Scotland, Malta had chosen to include young people in the democratic process, by giving them the right to vote at the age of 16 in the National and European elections. He said that this is apart of a wider ranging programme based on progressive values such as inclusion and equality.